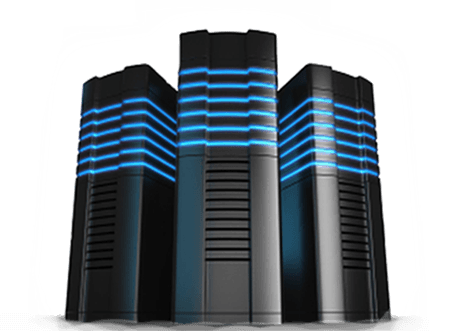 Dedicated Servers – Everything you need for your company. A dedicated server provides functionality like the PC in your home, but is owned, operated and managed by the provider. It is housed in a Data Center with huge amounts of bandwidth. All of our servers are housed within secure cages with redundant power and networking infrastructure. Keeping you online is our top priority, and we guarantee 99.9% uptime every month. Our Dedicated Servers are all set up for Internet Broadcasting. You can get it configured with Centovacast Control Panel (optional), which allows you to create 10, 25 or unlimited radio stations. If you plan to split with friends, then this is ideal for you. You can get 730 concurrent listeners at 128 kbps with a 100 mbit server. Depending on what server you choose, it is less than 10 cents per listener. Much cheaper than going with a Stream Host. The best plan would to be to get a Dedicated Server to run your SHOUTcast / ICEcast streams and then get a VPS to put SAM broadcaster (or Station Playlist, etc.) on it to broadcast to the Dedicated Server. Then you have the ultimate “never go off the air” station. NOTE: We do not allow either SPAM or BULK emailing on our servers. Also, we will not set up reverse DNS, as this is a indication of spam emailing. If we detect that you are spam emailing, we will immediately null-route your server and terminate your account. No refund will be given. Why you should choose Shoucast Streaming for a Dedicated Server? All set up for Internet Broadcasting. Comes with Centovacast Control Panel for 10 radio stations (which you can expand). This allows you to broadcast with SHOUTcast version 1 or version 2 and ICEcast. Auto DJ is included with Centovacast. Also a transcoder is included so you can save the trouble of having multiple streams. Stream to one SOURCE and then transcode to many OUTPUTS at various speed. All of our servers are housed within secure cages with redundant power and networking infrastructure. Keeping you online is our top priority, and we guarantee 99% uptime every month with our quality servers. We have several ways to get support. Online LIVE Support .. Telephone Support .. or by the normal ticket system. And our experienced technicians will always give your fast and courteous service. Get a custom plan now! Didn’t find the specs you were looking for? No problem! Get your custom plan now! Contact us with your requirements and we will put together a customized package for you. Professional services at your disposal. Our support team is made up of dedicated and intelligent individuals who believe in what we are doing. We truly believe in providing the best possible service at sustainable prices you can afford. We know that our customers are the life blood of our industry, and we have designed our business around you. We have not had a server outage in all of 2015, 2016 or 2017. Keep on-the-air with no dead air. Quality you can hear. Because we use Dedicated Bandwidth (that we own) you will experience NO buffering.